CBS is no longer in talks with Apple regarding the latter's frequently-rumored streaming TV service, the network's CEO admitted in a recent interview. "We had conversations awhile back, and we haven't had recent conversations with them," Les Moonves remarked to CNNMoney. This is despite the network being regularly contacted by other tech firms looking to partner on content. 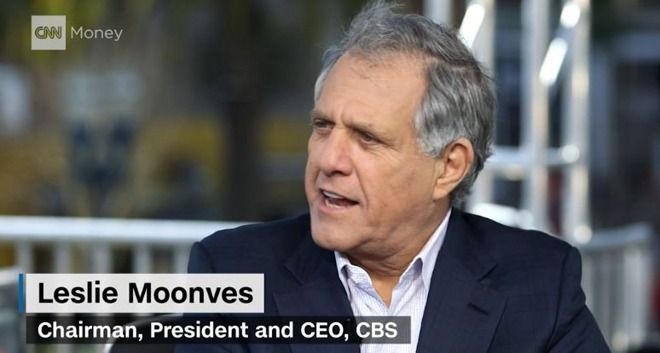 Moonves noted that he also had no idea when Apple might launch a service. "You'll have to ask Apple that. I don't know that," he said. In December Moonves suggested that Apple had "pressed the hold button" on a streaming TV service, a view that was echoed by later reports. The main obstacle was allegedly Apple's insistence on a "skinny" channel bundle costing less than $30 per month, and the unwillingness of content providers to leave some channels out. More recent rumors have hinted that the project is still alive, and that Apple may even be preparing to offer original TV shows in a package that could arrive as soon as September. Subscribers might be able to watch live NFL games as well, assuming Apple successfully bids for the rights. A streaming service was at one point rumored to launch alongside the fourth-generation Apple TV as a flagship feature. In the interim, Apple has been looking to spur content providers into producing tvOS apps.